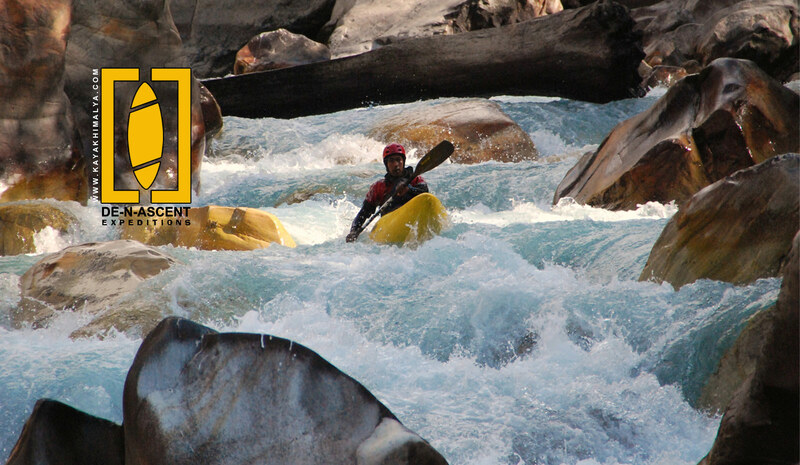 We offers instruction in fundamental to advanced kayaking skills and the application of those skills river paddling. We love to teach whitewater kayaking in the region of Himalaya. We offer training courses for paddlers of all interests and abilities, from beginner to advance. Our courses include a wide range of venues and purposes: introductory, beginner and intermediate white water skills, and advanced white water skills. A day designed to give you an enjoyable introduction to kayaking. We run this course entirely on flat water in maneuverable short kayaks. You'll cover everything from what clothing and equipment to choose right up to basic rescue skills, not to mention plenty of paddling. By the end of the day you'll have all of the foundation skills you need to progress in your new sport. Weekend kayak course 2-days If you have ever imagine running the rapids on a river then this is the course for you. You will learn a lot, does a lot of kayaking and if you are not superhuman your muscles will be aching for most of the following week! Take it from us; those aching limbs bring back plenty of memories to cheer your working days. Kayaking keeps many office workers sane, though their colleagues may disagree! We include a lecture, a flat water session to develop your basic paddling skills, and then it is on to the adrenaline-pumping white water for the rest of the weekend. Moving water skills include breaking in, breaking out, ferry gliding, running small drops, surfing waves and surfing stoppers, swimming in moving water and self-rescue. Flat-water skills include turning, edging, low brace, and high recovery, turning under pressure. This course is for those who have some previous kayaking experience under instruction (or with no experience, good balance, and a will to work hard!). You must be able to swim. Kayaking Week A five-day course put together for people who'd like an all-round introduction to Kayaking, suitable for beginners and those with some kayaking experience. You'll learn basics on the flat-water and grade II, III River running, and even learn the basics of Eskimo rolling. Throughout the course the highlighting will always be on learning new skills under the instruction of our expert coaches. Learn to paddle in all conditions, and how to keep out of trouble and rescue others. This course varies a lot depending on water conditions and the participants' needs, but we guarantee a lot of kayaking, and a lot of learning.For the newsiest to the kayak sport, things will start slow and we will practice the basics for the first few days, before we then start paddling different rivers.t the end of the course the beginner will be able to Eskimo roll and to negotiate rapids as well as being able to read the dangerous features in the water. You must be able to swim. For the intermediate kayaker, training will depend on the goal for the kayaker. Means if he/she wants to improve white water kayaking skills, we will be paddling rivers and focus on reading water, international river rules, safe paddling with groups and fun while boating. For the rodeo interested, we will focus on surfing, find a play hole and practice cartwheels, blunts, squirts and the sort to improve our hole and wave riding skills. The course length will start with 2 weeks and will also depend on the time invested from the student. Means more time invested, more skills learned.